When showcasing yourself or your work to the world, ensuring you have the perfect exhibit is crucial to getting the attention you want. This not only catches the eye of potential customers, but allows your regular buyers the opportunity to see your work in a new fashion they hadn’t thought of before. Knowing who to turn to when you need a presentation helps you when the time comes. This company can design amazing concepts to use on your way to success at custom trade show exhibits. Below, we will discuss what these companies have to offer so you can reap the benefits of using these custom exhibits when the time comes. One of the biggest advantages of using the best companies for your custom trade show exhibits is the perfect presentation. When showing off your creations, you want things to look the best they can. Turning to the right people allows you to share your vision and watch as they make it come to life. These companies know the ins and outs of trade shows and know the look and concept you are going for. They ensure your products are shown in the best way possible in hopes of helping you get the attention you deserve. When choosing a company to handle your custom trade show exhibits, knowing the kind of designs they offer is a must. This tells you whether they are a company that can make your ideas come to life. You’re the best person to decide how your work should be displayed. 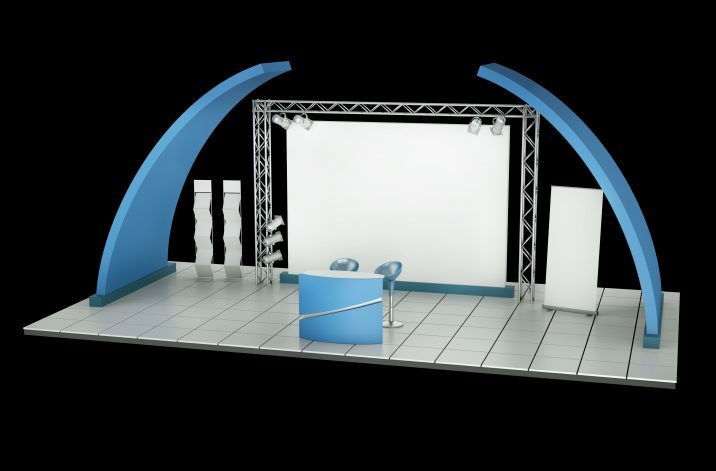 If you need custom trade show exhibits to help on your way to success, asking to see their previous show designs is a great idea. For more information on custom trade show exhibits, contact us.